The design wine rack Esigo 5 Esigo By Sanpatrignano is a wooden wine rack, the wine bookcase, in the ESPerience By Sanpatrignano Version. Products characterised by their neat profiles and innovative design by Esigo, and exclusive finishes provided by the Sanpatrignano carpentry laboratory. Champagne leaf, lead leaf or art of matter finishes such as gold and silver film, these are just some of the examples of the ESPerience exclusive, top-quality finishes which always stir emotions. 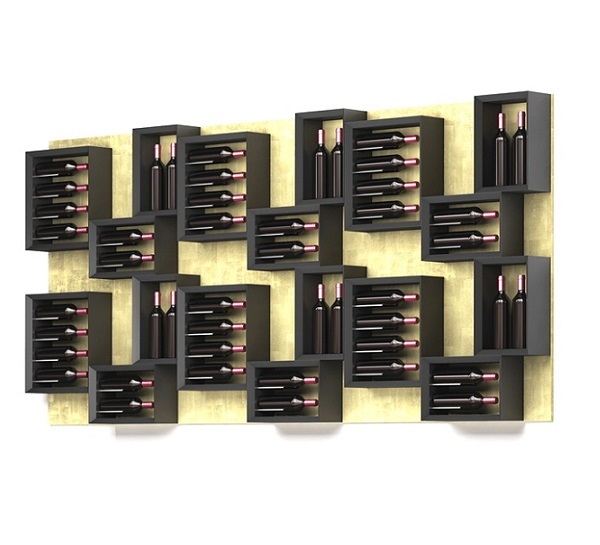 Esigo 5 ESP is the wooden wall mounted wine rack, which can be used for bottles, but also for other accessories that testify your passion for wine and lead you to choose special glasses, decanters, books and many other objects.